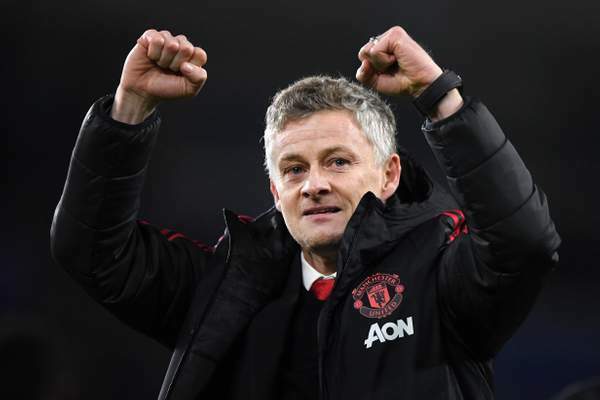 Manchester United take on Arsenal in the FA Cup on Friday night with thoughts turning back to that classic semi-final replay as Sir Alex Ferguson closed in on the Treble in 1999. It is coming up to 20 years since that Titanic clash at Villa Park that summed up the defining rivalry of the Premier League era. Ryan Giggs' wonder goal in extra time secured a 2-1 win for United – but that didn't begin to tell the full story of a match that had everything. 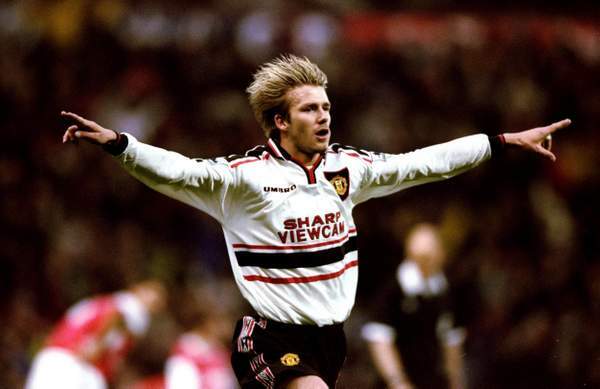 David Beckham had put United into a first-half lead before Dennis Bergkamp's equaliser after the break. United were down to 10 men in what was already an exhausting season when Roy Keane was sent off after 74 minutes. And when Bergkamp stepped up to take an injury time penalty, Arsenal were one kick away from a famous win. But Peter Schmeichel denied the Dutchman in a dramatic finish and the rest is history. "When I got the ball my feeling was that I was having a bit of a nightmare. I had come on for Jesper (Blomqvist) and I kept giving the ball away so I took the decision that the next time I get the ball I was going to have a little dribble so that's what I did and before you knew it, it was in the back of the net. "I thought ‘I think have scored a few better.' It wasn't until I got back and watched it back that I realised I had beaten that many men, it was pure adrenaline, pure - just beating players really and not thinking too much about it. "It was the last FA Cup semi-final replay and I haven't been in many games where the crowd has come on the pitch. I remember I was actually injured in the game, in the last few minutes Lee Dixon kicked my Achilles, so I was actually getting carried off because I couldn't walk. It was an amazing scene. And like so many games that year, it was special. "I don't know where the celebration came from. I haven't got a clue. It was one of those out of body experiences that I don't know why I did it. Would I do it again? Probably not. But then again you don't know what you would do after." "I don't remember the moment when Ryan picked up the ball, when it went in and I was just screaming. "The penalty save, Keaney's sending off, 10 men, a pitch invasion, Ryan's goal. "It was a magical week because we beat Juventus the week after. "It was the only time in a football match where I ever smiled when I was playing. "That is the only time I have done that in a pressure moment it was enjoyable as well as exciting. "Peter Schmeichel had done his thigh in so I was taking the goal kicks. "I walked towards the fans to take one and smiled thinking ‘this is unbelievable this'. "You know when you just feel ‘this is something special'. "I think it did top the Bayern game, because we didn't play well in that game. 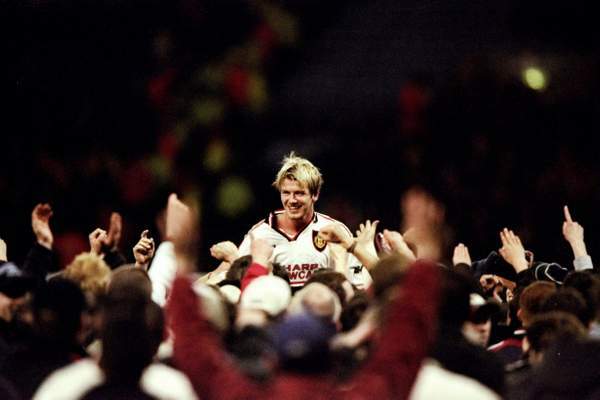 "It typified what Man United is, a great goal, fight, sending-off, pitch invasion. "It was also the last ever FA Cup semi-final replay. "The one replay they should keep is the Villa Park one. "I went to two growing up, so for me it was a special game, for everyone it was a special game. "Then Schmeichel saves it and you think ‘wow.' Even Beckham's goal was a good goal. the first one. "I always remember after the game we were being carried off the pitch but Tony Adams and Lee Dixon were standing outside our changing rooms to shake our hands , that is the one big thing that stands out for me. "Because remember they had won the double the year before and we were still neck and neck in the league at that point. "So that is the one thing that stands out." "The semi-final in 1999 is such an important game. When Peter saved that penalty from Denis Bergkamp, that gave us the advantage and we went on to win the treble. "If Bergkamp had scored they would have won the double. This is just how small the margins are. "That is the standout for me. I was substituted so I watched Giggsy's goal from the sideline. What a goal that was. "When I played, they were our closest rivals. They won the double, we won the treble. "The games against them were just fantastic. We had a great team, but they had a very good team as well. "The famous back four and David Seaman - I think I scored once against Seaman, just once. They were great games that you looked forward to."